I hope everyone is having a great Thursday! In celebration of this month’s featured book, Claire of the Sea Light, I’ve brought you a visual quote by Edwidge Danticat. I hope everyone is enjoying Spring Break! This month’s visual quote comes from Margarita Engle’s novel, Enchanted Air: Two Cultures, Two Wings. I hope you like it! Today I’ve created a visual quote for you from Marie Arana’s American Chica, this week’s featured book. I hope everyone’s having a great week! 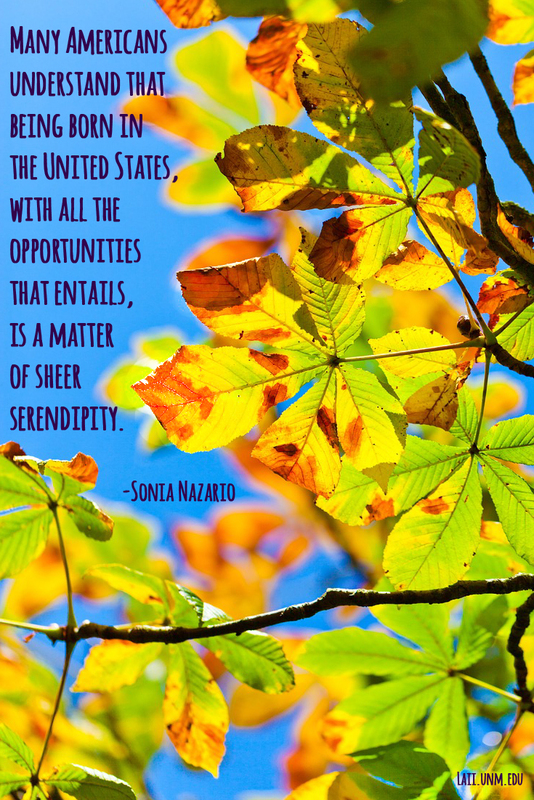 This month’s featured book is Enrique’s Journey, by Sonia Nazario. As a way to explore the significant themes that the book encompasses, I made this image with a quote about chance and the role that it continuously plays in our lives. 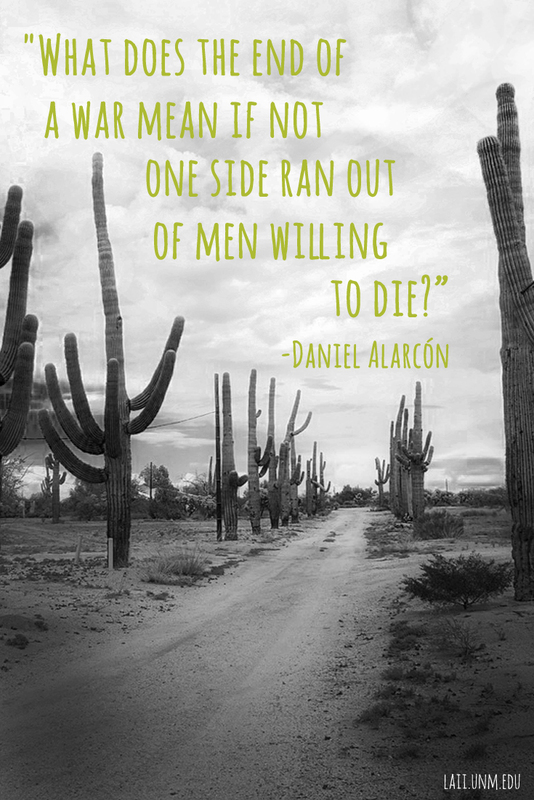 In honor of this month’s featured book, Lost City Radio, I’ve created an image of a thought provoking quote by Daniel Alarcón. Each week I’ll be bringing you visually rich content from the authors and books that capture our attention on the blog. To begin, I’m featuring a quote from Isabel Quintero’s book Gabi, A Girl in Pieces, which Katrina recently reviewed. 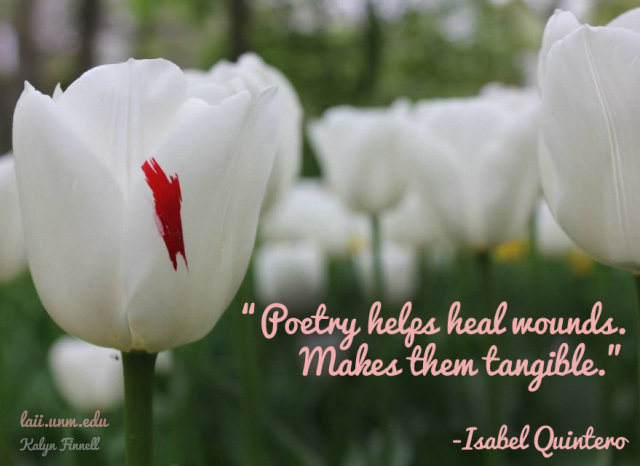 We hope you’re as inspired by these writers as we are! Please feel free to share.